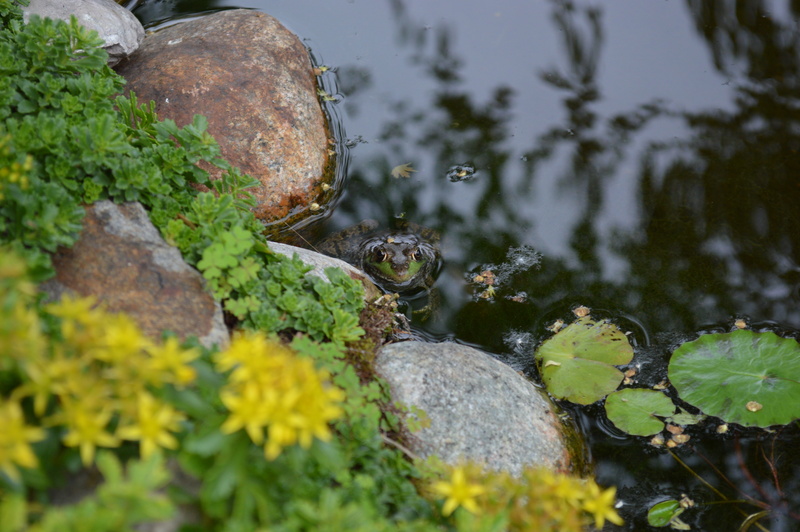 In a backyard once nearly devoid of nature, dozens of fish zigzag in the water, a frog peeks out near a lily pad and a robin alights on a stone to sip from a pond. The scene is tranquil, with the landscaping intentionally designed to draw in wildlife. 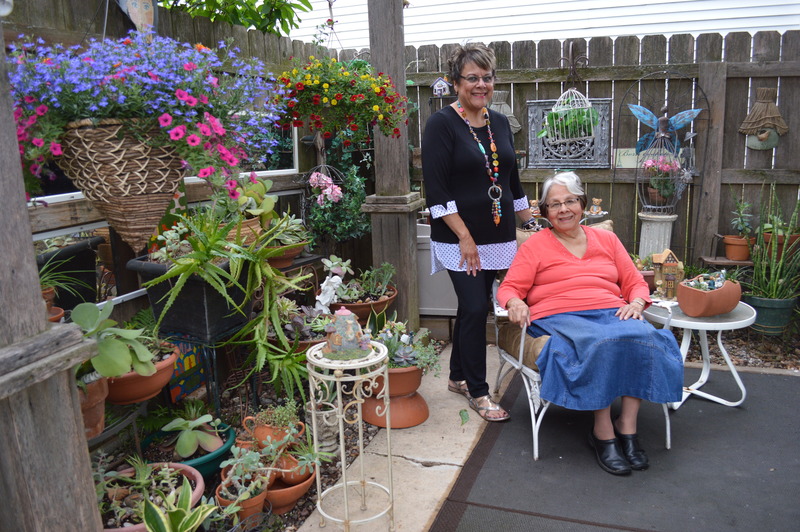 Monica Morley and her mother, Elena Murillo, have spent nearly 15 years transforming what was merely a grassy slope in a new Cedar Rapids development into a soothing sanctuary, teeming with life. 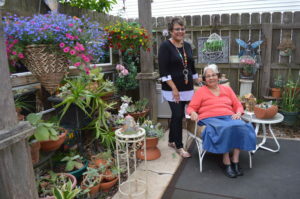 “When we first moved in, the soil was nothing but clay and some sand,” Monica said, noting that birds and other forms of wildlife were absent. With the help of a landscape architect and Monica’s husband, Gil, they set about amending the soil and planting the “bones” of the backyard with trees such as Colorado spruce, bald cypress, sumac and river birch, along with “Sea Green” juniper, “Ivory Halo” dogwood and other bushes that serve as habitat for birds and a growing list of animals. Elena spends a good portion of her day tending the perennials and creating fairy gardens composed of succulents and miniature figurines of rabbits, nymphs, gnomes and other creatures that provide touches of whimsy throughout the yard. They find some of the treasures at garage sales and others at In the Country Garden & Gifts, nearby in Independence. See more photos and the full story in the September/October 2016 edition of the Iowa Gardener magazine. Find extensive information on gardening in Iowa by subscribing to the Iowa Gardener. Everyone that has had the opportunity to see what they have created is overwhelmed at the beauty. 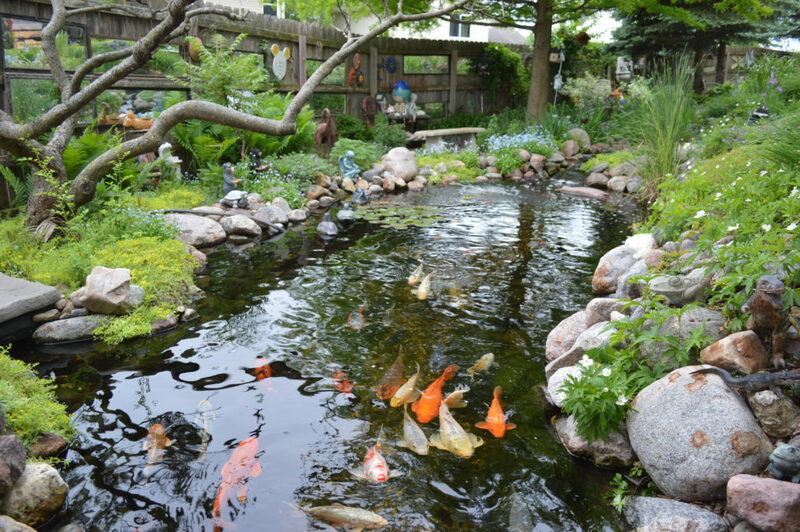 This is a favorite of the pond tour in Cedar Rapids. They we so generous when we had a before prom dinner for my son and friends…they let us take pictures of the kids in the gardens. The girls in their gowns and long gloves were feeding the Koi! All the parents were there as well. Elena was always working and bringing me “starts” from her plants. I miss being their neighbors and always think fondly of being next door.